Each card saves you about $300 in tasting costs and other discount offers. Remember your friends and family who would love to receive these cards as gifts, too. 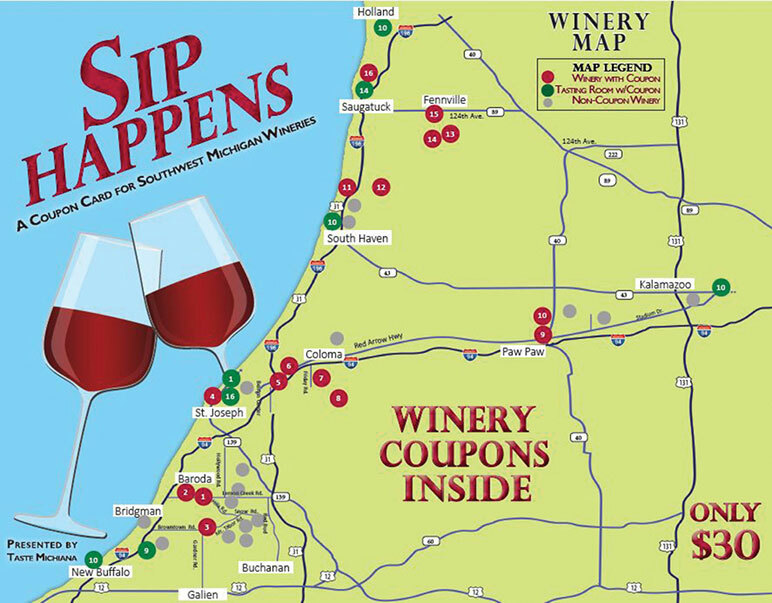 All wineries are ready to receive your coupons beginning Oct. 22; expiring Oct. 31, 2019.Check out the line-up of our fantastic wineries, tap rooms and tasting rooms for this year:Baroda Founders Wine Cellar (in Baroda)Lake Michigan Vintners (in Baroda)Hickory Creek Winery (in Buchanan)White Pine Winery (in St. Joseph)12 Corners Vineyards (in Benton Harbor)Vineyard 2121 (in Benton Harbor)Contessa Wine Cellars (in Coloma)Moonrise (in Watervliet)St. Julian Winery (in Paw Paw, Union Pier, Dundee, Frankenmuth, Rockford, Troy)Warner Vineyards (in Paw Paw, South Haven, New Buffalo, Holland, Marshall)Cogdal Vineyards (in South Haven)McIntosh Wine Cellars (in South Haven)Fenn Valley Vineyards (in Fennville and Saugatuck)Virtue Cider (in Fennville)Crane’s Winery (in Fennville)Crane’s Wine & Cider (in Saugatuck)Visiting all of our wonderful tasting rooms is so much fun, whether you’re going solo or in a group. 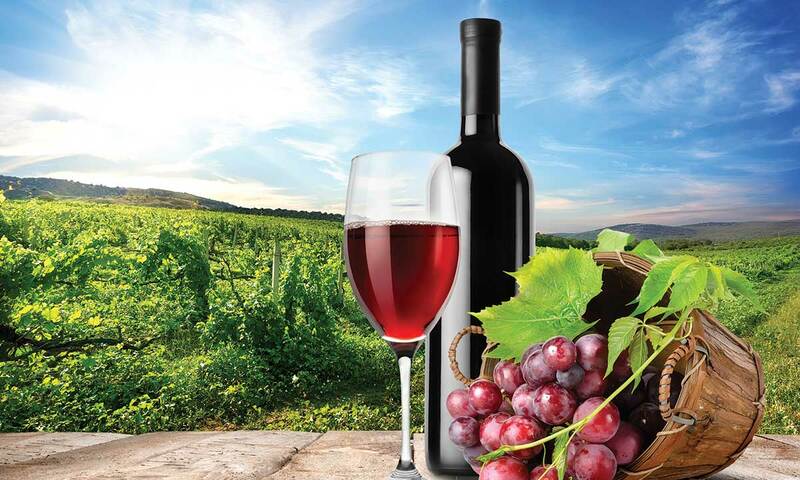 There are many fun events scheduled as well, so be sure to check their websites for live music, parties, festivals, painting events, hayrides, etc.Enjoy another wonderful season of Taste Michiana with your "Sip Happens" Coupon Card! Cheers!